The loss of a child, including pregnancy loss, is an experience deemed the #1 most stressful life event a person can go through. Miscarriage brings up an overwhelming array of emotions – fear, worry, sadness, anger, denial, and guilt – and cultivates a number of questions – Why did this happen to me? What did I do wrong?, etc. Many understand and acknowledge this emotional aspect, but what is less considered is the physical impact pregnancy loss has on the female body. It is important that family and friends acknowledge both the emotional and physical needs of a woman experiencing a miscarriage. The ideas below are great ways to support and encourage a mother and her partner who are experiencing miscarriage. Through these 5 services, you will be offering them love, support and the hope they need. 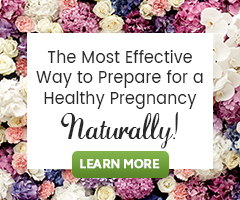 Miscarriage takes time to happen naturally. The grieving process often takes more time than the physical process taking place. While doctors can support women through the physical act of miscarriage, the natural process of grieving has no time frame and is participated in differently by each and every woman. Give her all the time she needs to process the entire event. Besides the physical and emotional reactions to miscarriage, grief also has physical and emotional reactions within the body; it is draining. According to the American Pregnancy Association, “physical reactions include: poor appetite, disturbed sleep patterns, restlessness, low energy, and other pains. Emotional reactions may include: panic, persistent fears, nervousness and nightmares.“ Encourage communication when these feelings arise and understand that a grieving woman or couple may truly want to be alone. 2. Be There to Listen! It may be hard to know what to say, or if anything should be said at all. Simply sit and listen, and most importantly, listen before you speak. This is not the time to minimize or undermine the experience, criticize or judge the mother and father, give advice, try to solve the problem, or come up with a reason why the miscarriage happened. Know that there may not be answers to the questions a woman has and, as a friend or family member, you cannot solve the problem. Actively listen by making eye contact, offering a hug, hand holding, grabbing a tissue or two, grinning or smiling when appropriate, and being emotional too if need be. A woman experiencing a miscarriage needs to be able to open up about her personal feelings, which may help others understand what she is going through. Sharing emotions will help you offer her the best support for her needs. Friendly reminder: sometimes simply saying, “I just don’t know what to say,” may be the most helpful thing to say. Help observe the pregnancy loss in a way that is meaningful to the parents and that honors the experience. Honoring pregnancy loss has the power to support healing by validating feelings and acknowledging the loss of a life. Having a ceremony, making art, jewelry or meals, saying prayers, creating altars, lighting candles, writing a poem, letter or song, planting a flower, tree, etc. – being able to share a story in any way – are all ways to Honor Miscarriage Through Ritual. Make time to be helpful with the day to day stuff. Grief, emotions, and the physical work her body is doing are all exhausting. Combined they may cause temporary loss of interest in the day to day things that need to get done like cooking, cleaning, chores, errands, child care or pet care, etc. Help out in any way you can around the house! Know that the grieving process cannot be rushed. The process of recovering physically may not be quick. Know it’s okay to not have any idea of what it’s like to have a miscarriage and, if you actually do, that no two experiences are the same. You know your friend and loved one the best. Be there and do for her (and her partner) that which will be most meaningful, even if this means not doing anything at all. A listening ear and shoulder to cry on may be the very best way to offer support. While there may not be one word, there are a variety of ways to be supportive and encouraging when helping a woman come to peace with moving forward after pregnancy loss.